"American Firearm Icon" -- this man is a legend in his own mind. 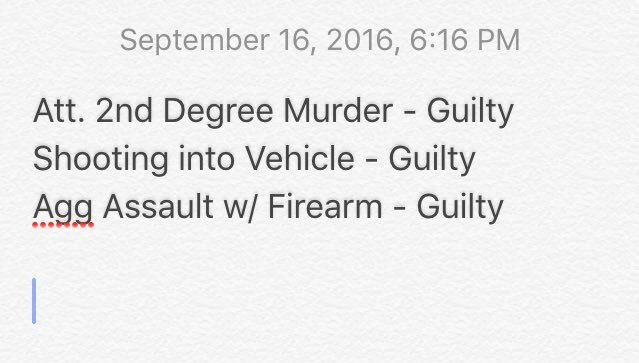 In my opinion, if Zimmerman wanted to "move past it" (see my bold, blue below) he should have quietly taken the gun and had it destroyed. It was only about a $200 or $300 gun, initially. It was the notoriety he was counting on to sell it for a starting bid of $5,000.00 I haven't always agreed with some of what Trayvon's family's views are and etc., but frankly, I really, really feel badly for them that this has come up. This just isn't right. All just my own humble opinion, of course. CNN)George Zimmerman was set to auction the gun he used to kill Trayvon Martin four years ago, he told a Florida TV station. But mysteriously, when the auction was slated to begin, the weapon vanished from the website, replaced by a note that read, "Sorry, but the item you have requested is no longer in the system." Searches for Zimmerman and Trayvon, which earlier Thursday morning had yielded information about the gun and its sale, returned no results. CNN attempts to reach the auction site were not immediately successful. Reached via phone, Zimmerman told CNN, "Thanks for the call. I'm not speaking to media right now," and hung up. Zimmerman made headlines again Wednesday, this time for an ad posted on a firearm-auctioning website, GunBroker. The post listed the weapon purportedly used to kill Martin at a starting bid of $5,000. "I am honored and humbled to announce the sale of an American firearm icon," the post said. "The firearm for sale is the firearm that was used to defend my life and end the brutal attack from Trayvon Martin on 2/26/2012." The post bragged about the gun's popularity, describing it as a "piece of American history." But while the auction site said many museums, including the Smithsonian Institution, have "expressed interest in owning and displaying the firearm," the Washington-based Smithsonian released a statement saying, "We have never expressed interest in collecting George Zimmerman's firearm, and have no plans to ever collect or display it in any museums." In an interview with WOFL-TV in Orlando, Zimmerman said he decided to sell the weapon and move past it. "I recently received it back from the Department of Justice," he said. "They took it after my trial, after I was exonerated." Zimmerman told the station he has had death threats since he put the gun up for sale. "What I've decided to do is not cower," he said. "I'm a free American. I can do what I want with my possessions." Proceeds from the gun's sale were supposed to be used to "fight [Black Lives Matter] violence against law enforcement officers," according to the post that has now disappeared. MIAMI — Bidding in an online auction for the pistol former neighborhood watch volunteer George Zimmerman used to kill Trayvon Martin appeared to have been hijacked by fake accounts posting astronomically high bids. George Zimmerman says he's vetting bids after closing an auction for the pistol he used to kill unarmed black teenager Trayvon Martin during an altercation. The former neighborhood watch volunteer — who was acquitted in the 2012 slaying — says on his blog that the sale was successful, though he gives no details and says the buyer may choose to remain anonymous. A judge Tuesday said there is little chance she'll allow jurors to see a 3-D computer-generated re-creation of what happened the day Matthew Apperson shot at George Zimmerman as the two men drove side-by-side down Lake Mary Boulevard. Defense attorney Michael LaFay argued that four days after the shooting, a Lake Mary police officer drove Apperson's vehicle, a 2012 Infinity sedan, and someone else drove Zimmerman's pickup, as they tried to re-create what happened using a software program that renders it into a 3-D video. That was improper, LaFay argued, because police failed to get a court order explicitly authorizing their use of Apperson's vehicle. LaFay asked Circuit Judge Debra Nelson to throw out the 3-D re-creation. Nelson agreed, but said she would not make a final ruling for two days, giving attorneys more time to research the law. Nelson scheduled Apperson's trial for Sept. 6. Apperson is being held without bail at the Seminole County jail. SANFORD, Fla. - A jury was selected on Monday in the trial of a man accused of trying to kill George Zimmerman. Matthew Apperson was charged with second-degree attempted murder after prosecutors said he shot at Zimmerman last year during a confrontation on Lake Mary Boulevard in Seminole County. Zimmerman was not injured in the encounter. Apperson told investigators that he fired the shot in self-defense after Zimmerman pointed a gun at him. "He was threatened by the brandishing of a firearm by Mr. Zimmerman, and he had every right to survive and to protect himself and to act in self-defense," said Mark Nejame, Apperson's attorney. Eight months before a Seminole County man fired a bullet into George Zimmerman's truck in 2015, the pair argued about Trayvon Martin, Zimmerman testified Tuesday. Matthew Apperson, the man involved in that dispute, is standing trial on attempted second-degree murder charges related to the May 2015 shooting. Apperson maintains he acted in self defense, but prosecutors say he instigated the violence. Prosecutors called Zimmerman as a witness Tuesday morning to offer his account of the shooting on Lake Mary Boulevard. Zimmerman, 32, returned to the Seminole County courthouse for a second day to testify against a man accused of trying to kill him by shooting into his truck last year. The defense attorney for shooter Matthew Apperson, who maintains he fired in self-defense, peppered his questions with blatant and brutal references to Trayvon's killing. "You didn't shoot at Apperson because he had a pistol and not a bag of Skittles?" Michael LaFay asked. Both sides have rested their cases and the jury will hear closing arguments Friday morning in the attempted murder case against Matthew Apperson... A case where he's saying he acted in self-defense, when he fired at George Zimmerman. A jury today will deliberate the case of a Seminole County man accused of trying to kill George Zimmerman by shooting into his truck window in May. Attorneys gave their closing arguments this morning, which focused heavily on Zimmerman's character. Defendant Matthew Apperson hopes to convince the jury he acted in self defense when he shot a single bullet from his .357 Magnum into Zimmerman's car on May 11, 2015. Apperson, a paralegal, said Zimmerman threatened to shoot him and flashed a gun first. The bullet missed Zimmerman's face, lodging itself in the truck's metal frame. Assistant State Attorney Stewart Stone told jurors that Apperson, 27, instigated the confrontation and chased Zimmerman in a car. Apperson's behavior, he said, fails to meet the standard of self defense because he did not act in a reasonable, prudent or cautious manner prior to firing. Zimmerman testified that he never brandished a gun. Defense attorney Michael LaFay, in his closing argument, attacked Zimmerman's credibility as a major witness in the case. Attorneys clashed in closing arguments when Stone accused defense attorneys of trying to put Zimmerman back on trial. LaFay objected, saying the comments stirred sympathy in the jury for the victim, which would be a violation. Seminole-Brevard Circuit Judge Debra Nelson cautioned Stone to "stop walking the line." count 2: guilty of shooting into an occupied vehicle. guilty of aggravated assault w/ a gun. So he's guilty on all counts. The jury also convicted Matthew Apperson, 27, of shooting into an occupied vehicle and aggravated assault with a firearm. The Winter Springs man faces a minimum of 20 years in prison because the crimes involved a gun. His wife and mother, who attended the five-day trial, walked out crying and would not comment. SANFORD — The Seminole County man convicted of shooting at George Zimmerman as the two drove down Lake Mary Boulevard in separate vehicles was sentenced today to 20 years in prison.